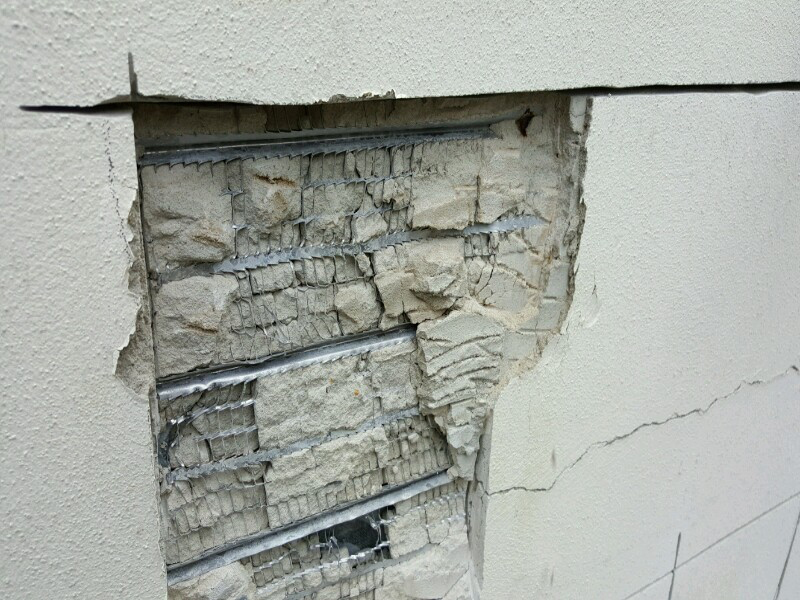 This is a timber frame property that we used a rainscreen cladding system on to over come a issue of severe cracking. 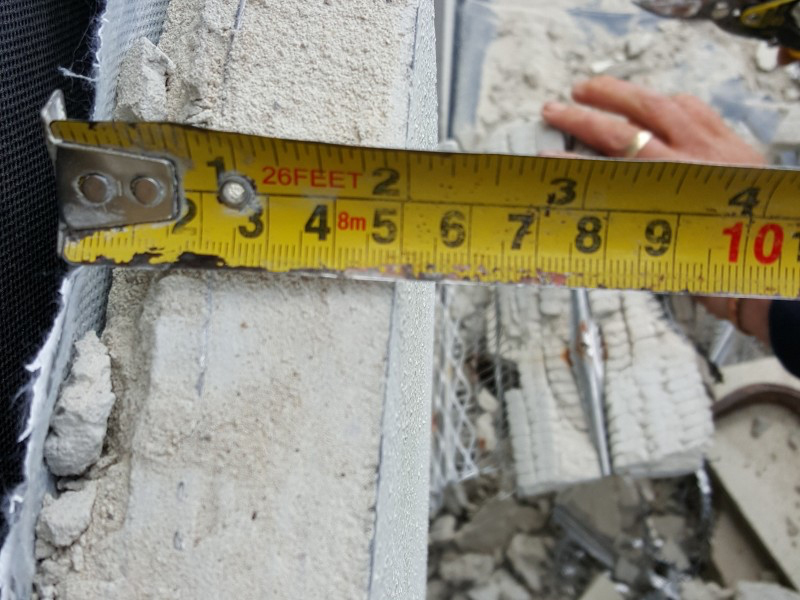 The render varied in thicknesses of 30mm-60mm and weighed approximately 50kg-70kg m2! 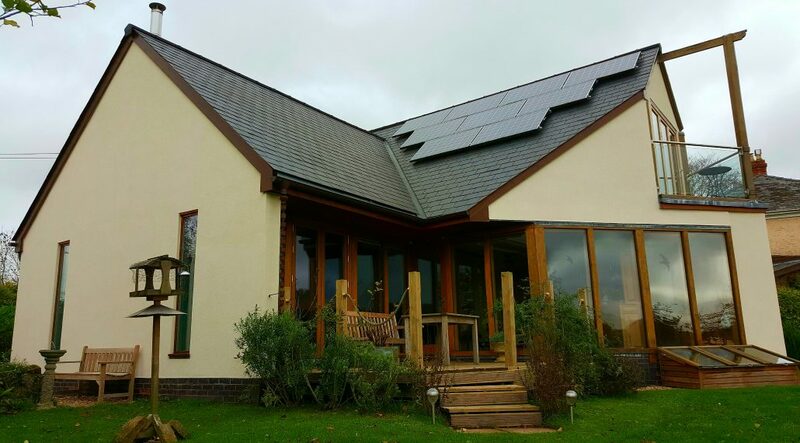 The rainscreen cladding system that we used to replace the existing render weighed only 10kg! Due to the movement of the EML expanding in the sun and contracting when cooling down the render moves little by little eventually cracking on every joint of the EML, water is then able to penetrate through the cracks and saturate the render which will eventually blow from the frost expanding the water within the cracks. 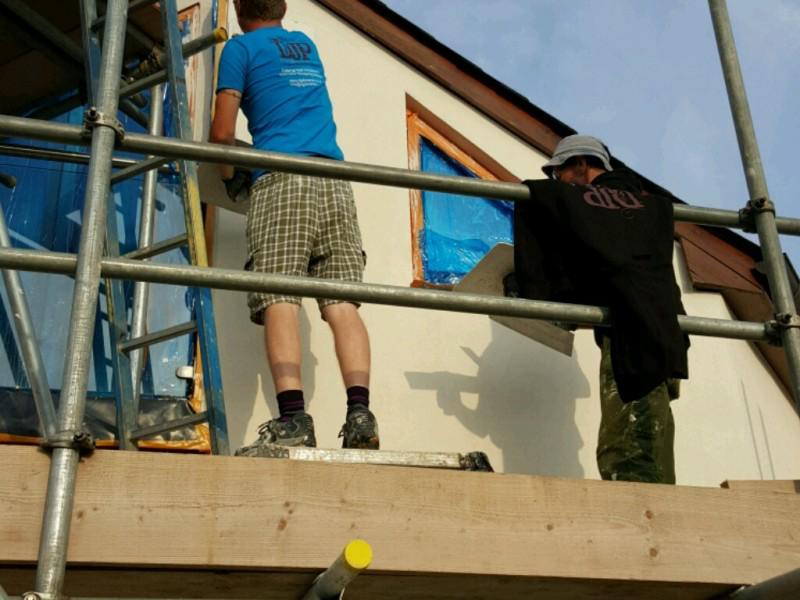 The render was also taken directly up to the soffits this prevents any air flow behind the render system which causes the building to sweat and promotes mould growth and rot within the timber frame. 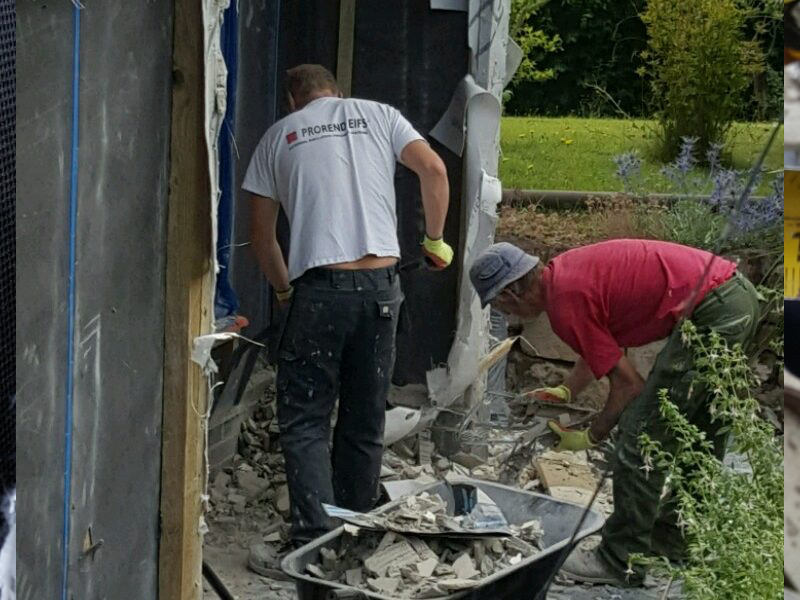 To remove the existing render an angle grinder was used cutting the render into sections then pulling the sections of render off the wall then removing the timber batten’s which where nailed to the structural timber frame.  We installed the rainscreen cladding system using the manufacturers specifications see our step by step page. With the new rainscreen cladding system installed the building is now weighing 7500kg less! Having a ventilated bead at the base underneath the system, and a ventilated breathing gap at the top under the soffits the whole system and building can breath again eliminating damp and mould growth. 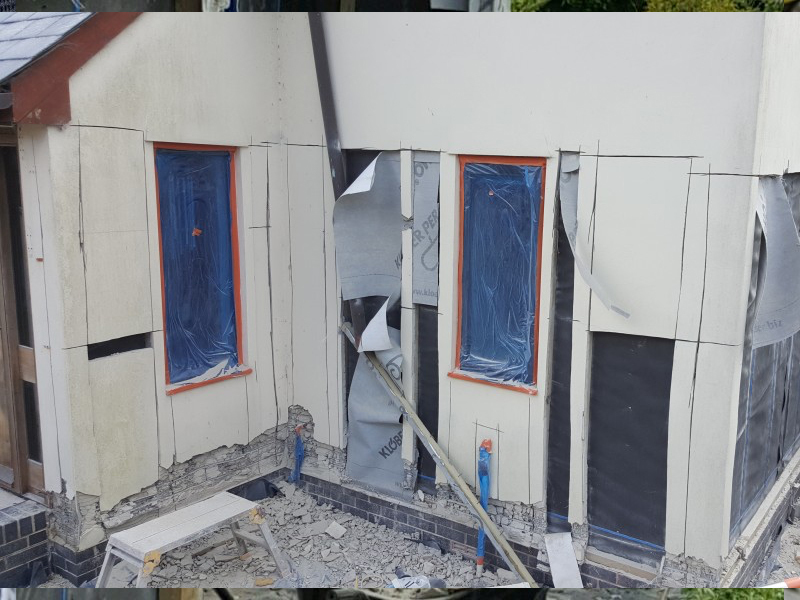 By adding the fiberglass mesh within the render , the render becomes anti crack eliminating any issue of the render cracking. 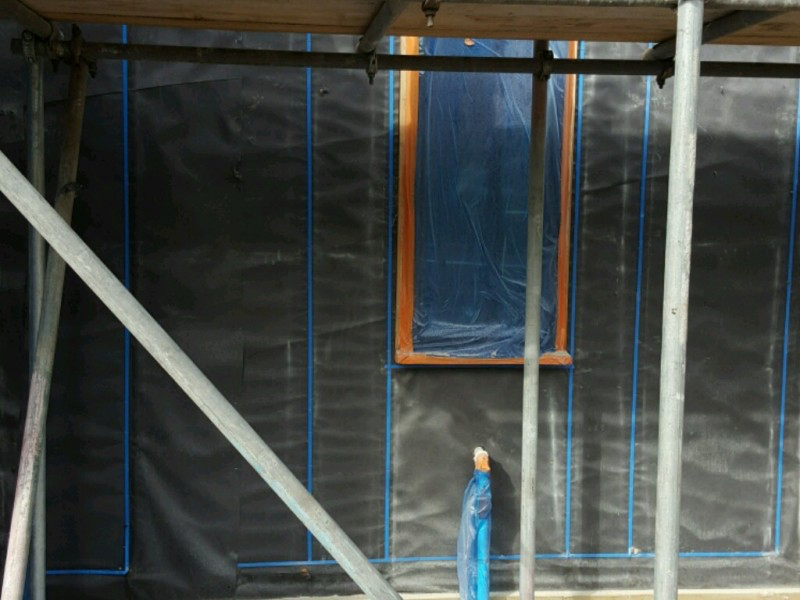 The silicon finish provides a fully waterproof barrier protecting the building from all weather elements. 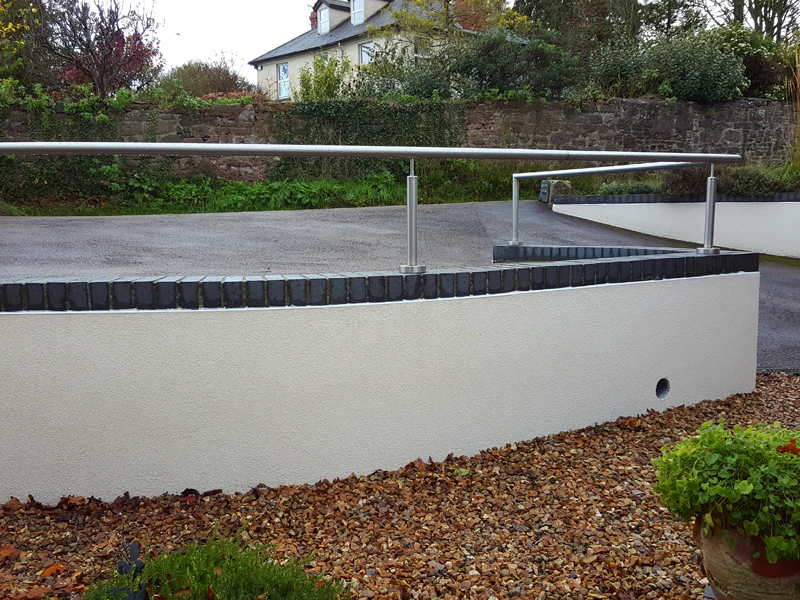 The client’s where so pleased with the system used and the new low maintenance finish we provided that they asked us to render their garden wall in the same system as well.